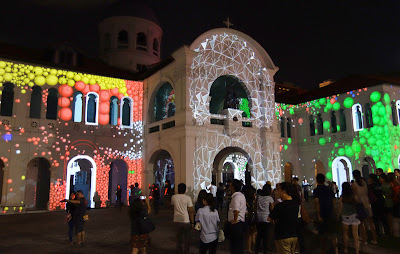 I was walking from the hotel I stayed V Hotel Bencoolen to North Bridge Road, passing the Singapore Art Museum and saw the advertisement of Singapore Night Festival 2013. 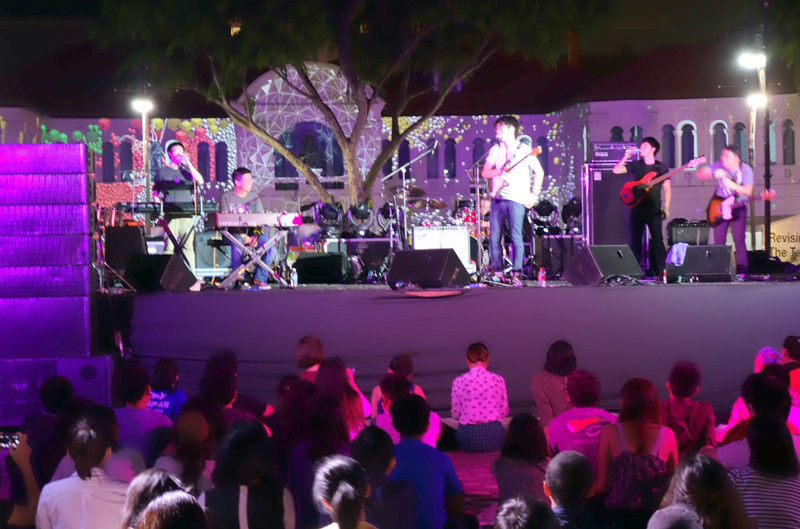 Wow... lucky me that my schedule in Singapore allows me to see this festival. I promised myself to visit the Singapore Night Festival on Friday night, before going back to Jakarta. 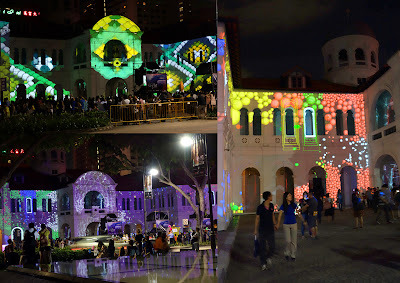 I went to the festival and was amazed by the look of Singapore Art Museum that night. The museum looks really different compared to seeing it in the morning. I loved to see how the lights changes following the rhythm of the music. Aside from the light, it was also a culture festival, people enjoyed a great live music at the opposite of the Singapore Art Museum. Overall it was a great festival and yes it was free! If you'd like to see the Singapore Night Festival in 2014, you can check this link for the detail information.